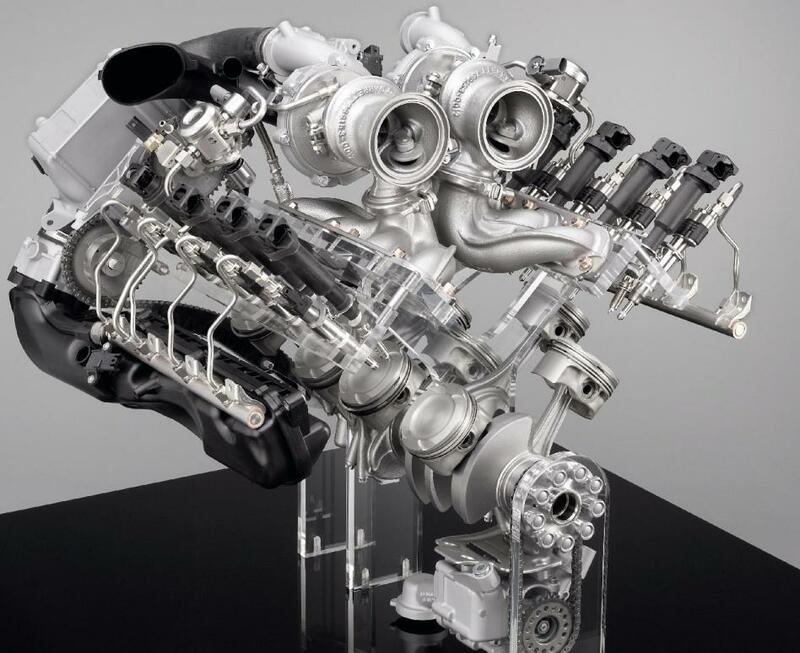 We are continuing our coverage on the BMW engines – Part 1 can be found here – and today we are going to focus on the latest and what some might call, the best BMW engines to date, such as the award-winning N54 engine. 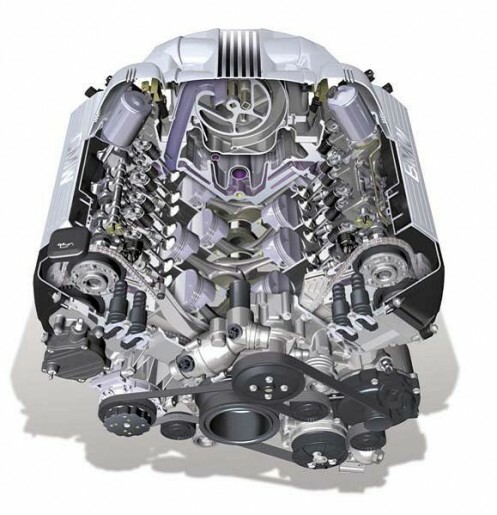 The “new generation” engines will be the main focus of my engine technical articles. For two reasons; these are the engines I am personally most well versed in and spend the most time working on, secondly; they have the newest innovations which includes all of the aforementioned ones. The N52 (now the N52K, it has received its first update) is the new 2.5L or 3.0L 6cyl engine found on all 1, 3 and 5 series, as well as the X3, and X5. For terminology purposes all current production 3 series will be referred to as chassis code E9x. For the new 3 there are 4 different designations to better describe which body style. Working at BMW, we refer to all cars by their chassis designation. E9x is a term for the 3 in general. More specifically the E90 is the sedan, the E91 is the touring (5 door/hatchback), the E92 is the coupe, and the E93is the hardtop convertible. Similarly the 5 and 6 are known as E6x vehicles. The E60 is the 5 series sedan, the E61 the touring. The E63 is a 6 coupe and the E64 is a 6 convertible. And since we’ve gone this far I might as well tell you the previous generation 7er is the E65, the E66 is the Li (long wheelbase). E70, the new X5 (the previous was the E53). E71 is an X6. E83 is an X3. E85 is a Z4 roadster, and E86 a Z4 coupe. I’m sure that’s more than enough for now. As I stated we have the N52 for the current 6 cylinder. The N62 is the current V8 (also has received first update, now the N62TU), sized from 3.6L all the way to 4.8L. Mechanically both the N52 and N62 engines are tremendously more weight efficient than their predecessors, mainly through the use of materials and construction. In particular the N52 uses a magnesium aluminum alloy crankcase with an aluminum cylinder head and oil pan. The valve cover is magnesium. These are extremely light weight materials. I could go one about boring construction techniques but basically everything is as light as possible. 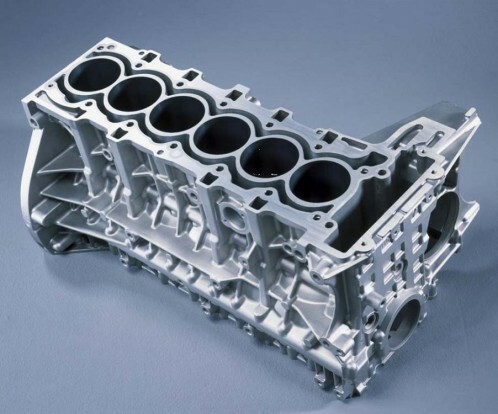 For example the camshafts are constructed from a hydroforming process. The cams are not cast. A hollow steel tube is used and each cam lobe is like a ring that can slide onto the shaft. Each lobe is placed in proper position and the assembly place in a die. The steel tube is then pressurized with water at around 4000 bar (~58,000 psi). The bar expands and the lobes are now a press fit onto the tube. These cams are exceptionally light weight and strong. There are 3 other major changes. An electric water pump is used to reduce parasitic loses by not being belt driven. This is also a much more precise way of controlling/monitoring engine temperatures more efficiently. Secondly, Valvetronic. This is a system that allows for variable lift on the intake valves. Third, a vacuum pump is needed due to the Valvetronic system as it reduces manifold vacuum. The pump is used for the brake booster for example. Then N62 V8 includes all of the previously mentioned technologies. Finally there are 3 other new generation engines to be noted. The N54, the N63, and the N73. The N54 is the bi-turbo inline 6 that powers the 135i, 335i and 535i. The N63 is the new bi-turbo V8 introduced in the X6 and will be powering various upcoming models like the new 7s and 5s, 6s,and X5s. finally the N73 is the current V12 in the E66 760Li. The N73 is similar to the N52 and N62 except the fuel system is direct injection. The engine uses Valvetronic and is naturally aspirated. The N54 and N63 are both parallel bi-turbo engines with direct injection. They do not use Valvetronic. It is redundant due to the naturally more efficient charged air intake. They also do not incorporate DISA valves in their intake manifolds. The DISA valves operate the variable intake runner length. Again due to the charged air intake the system is not needed. The one special thing about the N63 is its architecture. It’s a totally radical new design based on the “efficient dynamics” principle that BMW has now incorporated into its development process. The strange thing about the engine is that the exhaust manifolds, turbines, compressors and catalytic converters are packaged in the “V” area between the cylinder heads where normally an intake manifold would be. Conversely there are two intake manifolds, one for each bank, located where the exhaust manifolds would normally be. Basically the intake and exhaust ports have flipped. It’s a very ingenious design for many reasons. Next post BMW X5 M out in the open?